Learn more about how Invisalign works here. The first step is to make sure if Invisalign is right for you. In most instances, it will work just as well as traditional braces, but for severe straightening or re-spacing, traditional braces may still be preferable. Many of our clinics offer Invisalign promotions and free consultations, so be sure to check with your local 123 Dentist member clinic. One of our experienced dentists will work with you to customize your Invisalign program. Invisalign provides software with 3D Imaging Technology that lets you virtually preview how your own smile will adjust to Invisalign over the course of the treatment. This is a valuable incentive and shows you what you can expect before committing to Invisalign. Locate the nearest 123 Dentist Clinic with Invisalign or speak to your Dentist about a referral to a 123 Dentist Clinic that does offer Invisalign. Once you decide to go forward with Invisalign, your 123 Dentist will attach fixtures to your teeth that Invisalign clips into. A mould of your teeth is made and Invisalign aligners are professionally fabricated for each stage of your treatment. A visit to your 123 Dentist should be planned every 4-6 weeks to review your progress and allow for modifications if necessary. At the end of your treatment, your fasteners will come off and your friends and family will only notice that your teeth somehow seem healthier and that you seem more confident as a result. When weighing the pros and cons of Invisalign, you will need to consult with your 123 Dentist to discuss what is best for YOU. That being said, Invisalign offers several advantages over traditional braces. 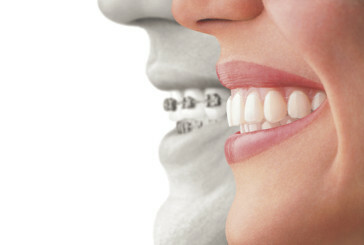 Traditional Braces Are Affordable – While it does work, Invisalign is typically more expensive than traditional braces. Looking great while you straighten your teeth does cost more, but our 123 Dentist Member Clinics often offer discounts on Invisalign, so talk to your local clinic now. If you are seeking a way to correct crooked or misaligned teeth without the hassle or barriers of traditional braces, Invisalign is the ideal solution in many cases. Ask yourself if you would like to see yourself smile brighter, be more confident and improve your confidence without the need for wires. If you want to change the way you smile, contact a 123 Dentist Member Clinic today. Find out if Invisalign is right for you with a free Invisalign Smile Assessment.